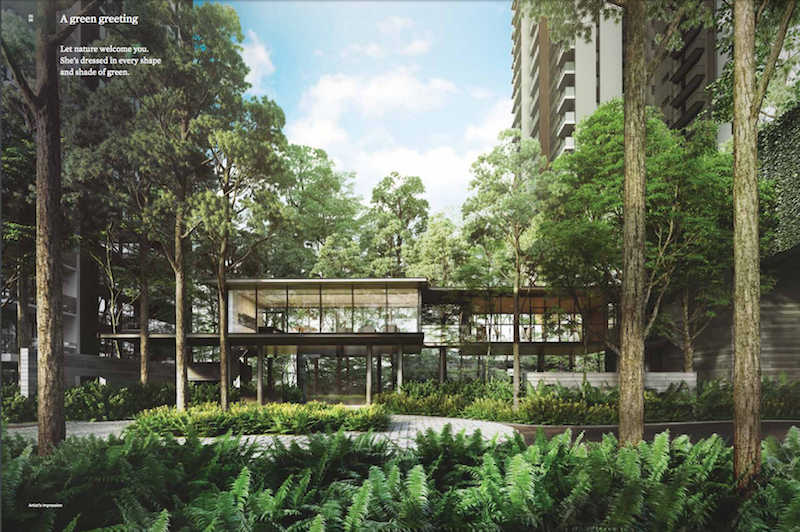 The Clement Canopy is one of the highly awaited residential condominiums in the vibrant and happening area of Clementi Town of western Singapore. 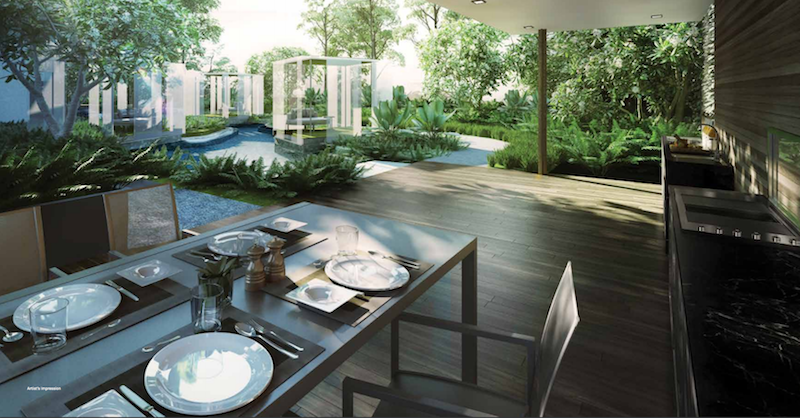 This property has the pride of being the one and only private development in Clementi area. Spread over a whopping 140,000 square feet or 13,000 square meters, the condo complex houses 505 individual condominium units, each of which is designed in the most modern way and has access to a number of world-class amenities. The complex comprises of two building each of them being 40 storied. 79 numbers of 2 bedroom compact units measuring between 635 to 657 square feet115 numbers of 2 bedroom premium units measuring between 710 to 732 square feet115 numbers of 3 bedroom units measuring between 990 to 1163 square feet116 numbers of 3 bedroom units with additional guest room measuring between 1109 to 1346 square feet80 numbers of 4 bedroom units measuring between 1346 to 1539 square feet. Each of the suites is being spaciously designed and furnished with all modern amenities to make this as one of the epitomes of sophistication and simplicity. 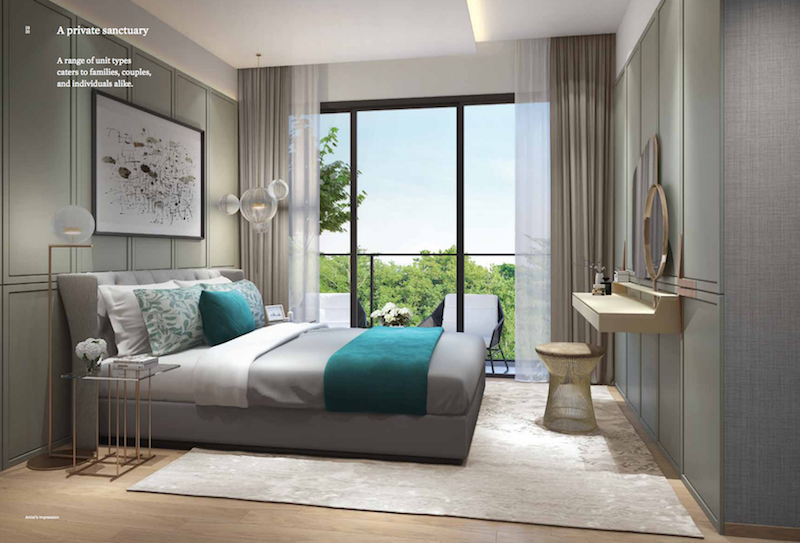 The suites are designed to offer the ultimate luxury living experience to the residents and will rejuvenate them after a hard day’s work as they gaze on the setting sun from the luxurious balconies of their homes at the Clement Canopy. A person could not wish anything better than this. 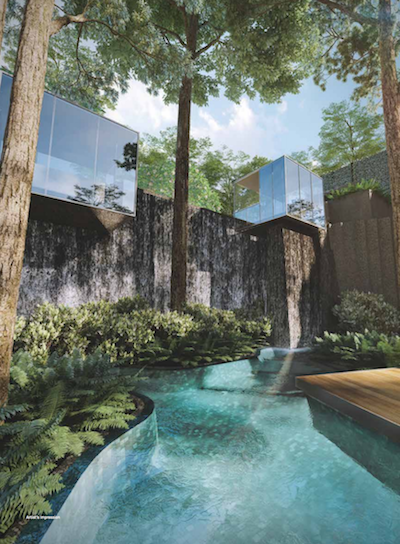 Living in the Clement Canopy will be a lifetime experience as the residents would be living amidst nature and away from the hustles and bustles of the city life. 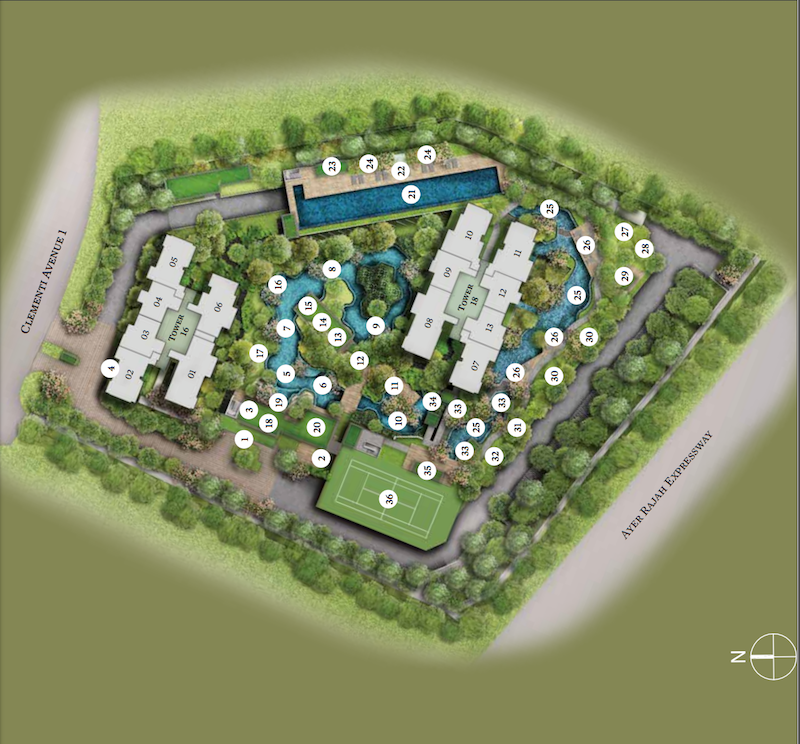 With a number of amenities like swimming pool, pool deck, BBQ area, nature trails and outdoor gym, the condominium complex is designed to offer resort like living experience to its residents. 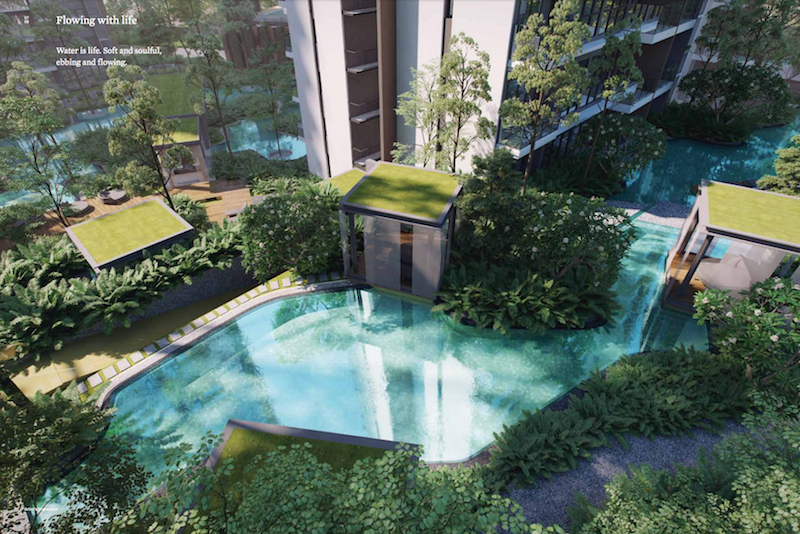 Strategically located at Clementi Ave 1, and Ayer Rajah Expressway in Western Singapore, The Clement Canopy is in close proximity to basic facilities as well as recreation and entertainment zones. 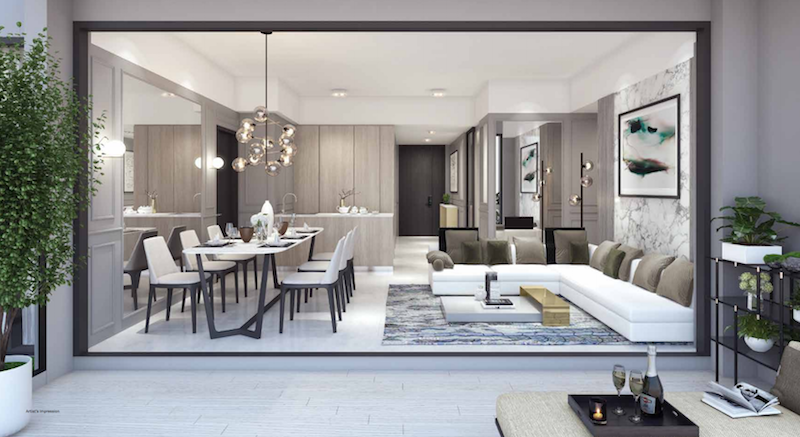 With a number of shopping malls and dining joints around the area, residents of Clement Canopy would never face a dearth of entertainment and recreation. 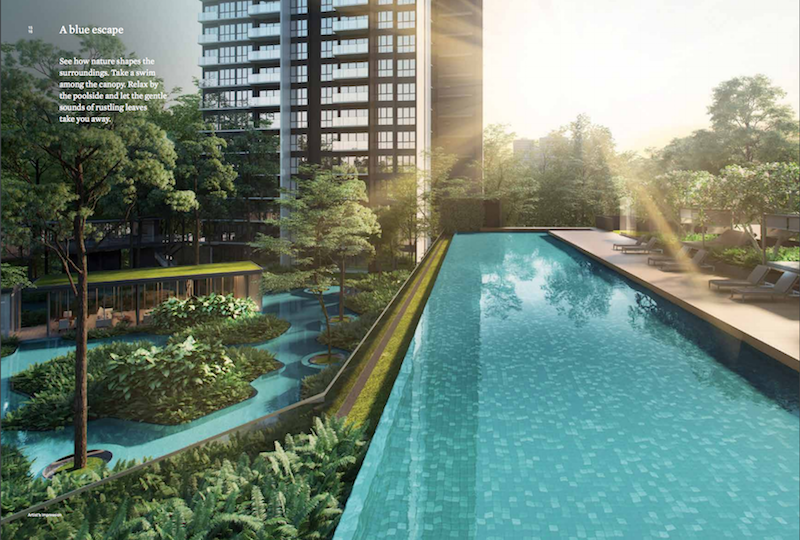 Some of the eminent and famous shopping amenities around the area include the Clementi Mall (900 meters away), West Coast Plaza, Queensway Shopping Centre, City Vibe, Alexandra Central Mall and Star Vista, all of them being just a few minutes’ drive away from the luxurious abode of The Clement Canopy. Clementi Town also hosts a number of supermarkets which can be accessed by the residents of Clement Canopy for getting objects of their daily needs. The Cold Storage, NTUC Fairprice, Giant and Sheng Siong hypermarket are some of the options that are at a stone throwing distance and will not take anything more than a few minutes’ drive from Clement Canopy. It is not that Clementi Town has it all only for the shopaholics. It has plenty for nature lovers and outdoor enthusiasts as well. While places like Clementi Sports Hall and the Clementi Stadium would be the ideal hangout locations for sports lovers, the nature lovers would find their interest in nature parks like Clementi Wood Park and the very popular West Coast Park. If the residents of Clement Canopy would need to send their children to educational institutions, there is no shortage of that in the neighborhood as well. With the Nan Hua High School and the NUS High School of Mathematics and Science just next to the Clement Canopy, the children would not have to travel a lot to pursue education. 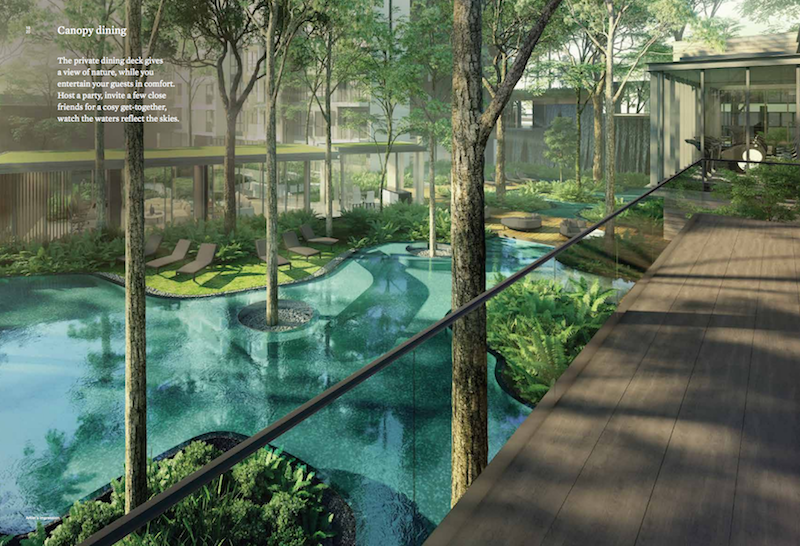 In terms of connectivity with rest of Singapore, the residents of Clement Canopy will not have to worry a bit. Lying next to the Ayer Rajah Expressway and being in close vicinity of Central Expressway, Pan Island Expressway, West Highway and Commonwealth Avenue West, the residents will not have to drive for long hours to reach their workplace. The condominium is also at a very short distance from MRT station and bus interchange. While going through the Clement Canopy review, it is obvious that you would want to know who the developers of this luxury condo complex are. 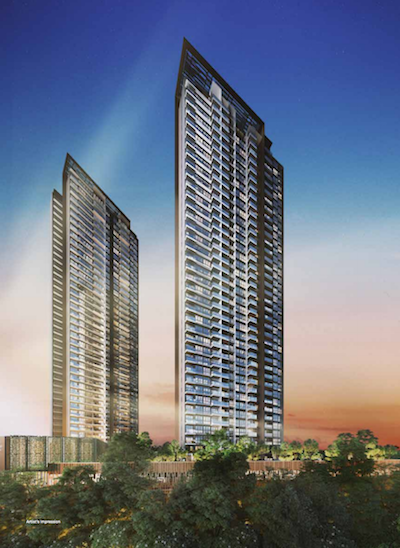 The luxurious condominium is jointly developed by renowned developers UOL and Singland Homes. If you are not too aware of the reputation of UOL, you may want to be informed that UOL has the pride of being the leading name among public listed property companies in Singapore. Highly regarded for their attention to detail and excellence in quality, the company has been venturing in a number of development projects that include shopping malls, residential properties, office towers, hotels and serviced suites. Through Pan Pacific Hotels Group limited, the hotel subsidiary of UOL, the group manages more than 30 hotels in different parts of Asia and North America. For their significant contribution to the real estate industry and impeccable quality of construction, the group has been awarded a number of prestigious awards that include the President’s Design Award, Urban Land Institutes Award for Excellence, Aga Khan Award for Architecture and the FIABCI Prix d’Excellence Award. After being incorporated in 1963, Singapore Land Limited, aka Singland was taken over by UIC Limited in 1990. Since then, the company along with its parent company has been playing a major role in shaping the physical landscape of Singapore. In recent times, Singland has been holding the top slot amongst the other property development groups of Singapore, thanks to its different development ventures in urban and suburban Singapore. With premium construction projects like Marina Square, Abacus Plaza, SGX Center, Tampines Plaza, West Mall and Singapore Land Tower under their belt, Singland is beyond doubt one the largest and most successful property developers in Singapore. The company has the pride of being the first ever public listed private company of Singapore. It is also one of those few property developers that own nearly about 1 million square feet of retail space and more than 2 million square feet of office spaces. This is a feat that not many companies in Singapore have been able to achieve so far. Why Buy The Clement Canopy ? 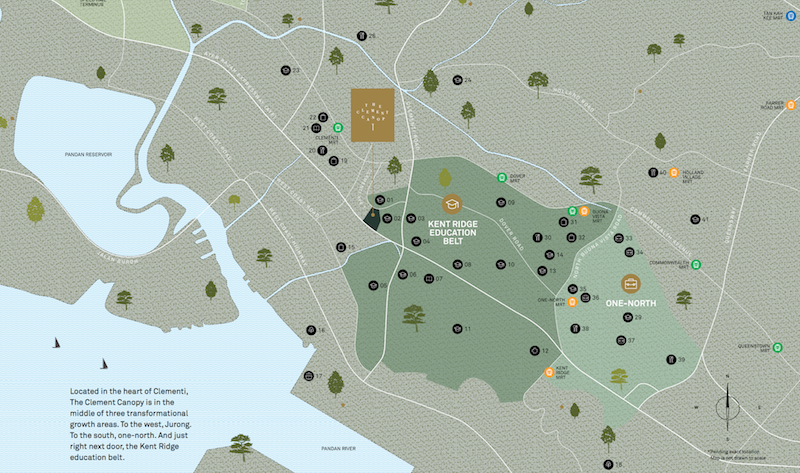 Proximity to Work – Within minutes’ drive from The Clement Canopy, One North Business Park and Jurong Lake District. Just about a microcosm of the new world, one-north is a hub for biomedical sciences, infocomm technology, media, physical sciences and engineering presents a universe of opportunity, and best of all, just a stone’s throw from Clementi. 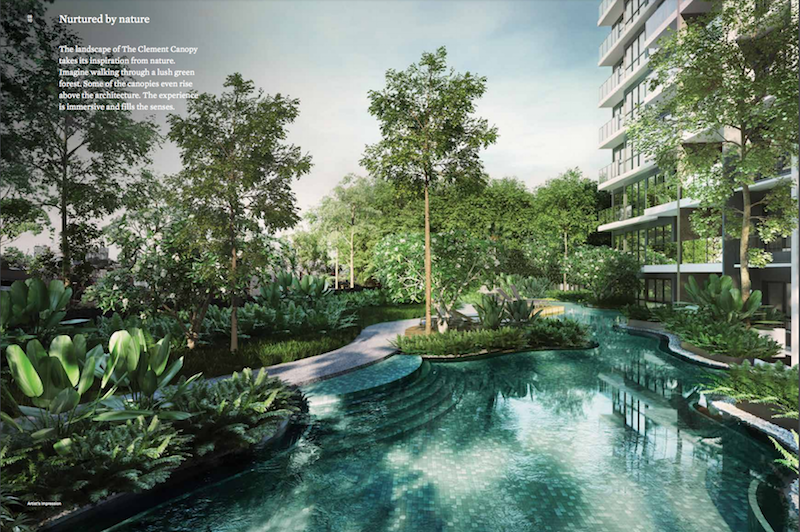 Jurong Lake District is primed to become Singapore’s next CBD and because it’s just one MRT stop away from Clementi MRT, residents at The Clement Canopy can truly enjoy the best of both worlds — the tranquility of home and the bustle of an exciting next-century commercial hub. All-round learning and living at Kent Ridge & Clementi – Renowned schools and institutions are all around The Clement Canopy, from primary to secondary to tertiary levels, including the National University of Singapore, Anglo-Chinese Junior College, INSEAD Asia, and Nan Hua High School. A mature estate, Clementi itself packs a hive of lifestyle options. One never has to go far to enjoy a night out with friends, or a laid-back Sunday afternoon. Panoramic Views – Imagine waking up to views of the distant horizon, or coming home to a sunset sky, casting a golden hue over the ocean. 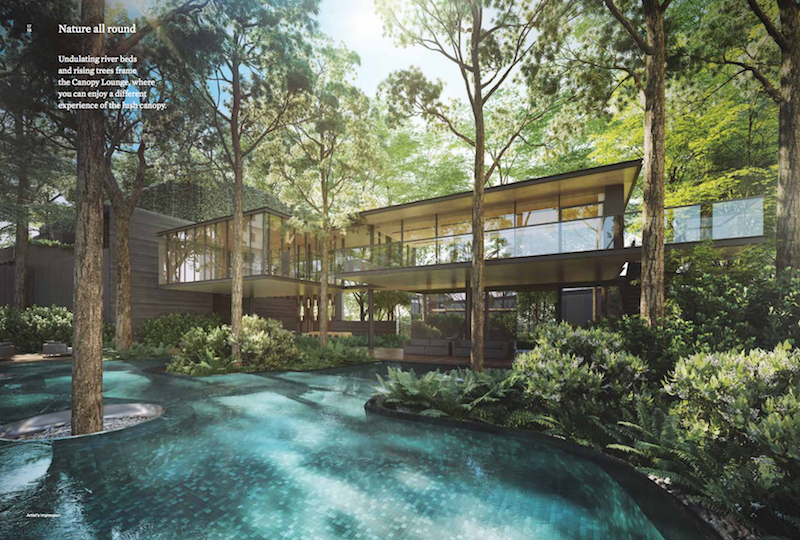 Despite Singapore being an island, homes that boast sea views are rare and highly prized, and for good reason. Simply fill up your details below for more information on The Clement Canopy, and our appointed developer sales team will be in touch with you shortly.